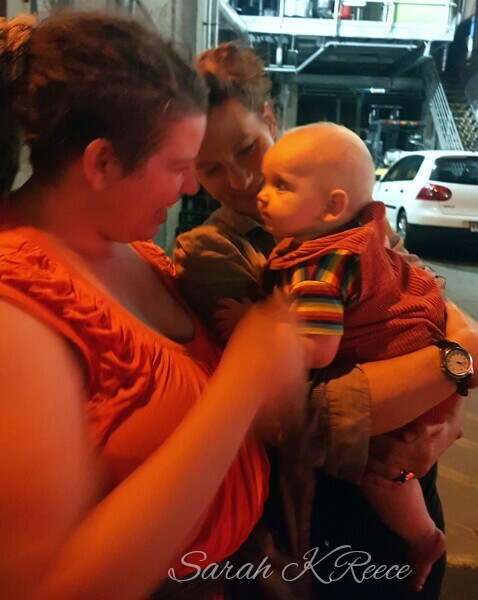 Rose, Poppy and I all went off to see Amanda Palmer’s concert last night with our friend and her 8 week old baby. It was amazing and both little ones were brilliant. They nursed, slept, and played in almost total silence (we had baby earphones for both during the louder songs). Towards the end Poppy was really keen to watch Amanda performing and started to ‘sing’ along to the songs. We were in the second row so during a quiet moment Amanda heard her and she and Rose had a brief conversation about her. 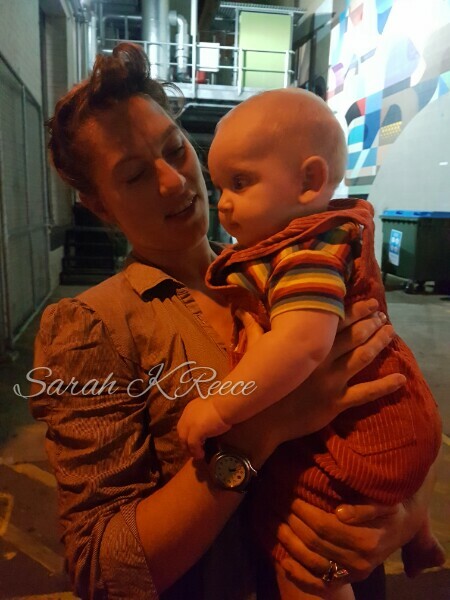 I can’t tell you how amazing it was to be listening to her stories and songs about her little boy and life as a Mum with my own deeply loved baby on my lap, nursing at my breast, or standing on my knees to watch. It was a stunning and bittersweet evening. Amanda was feeling sick so she didn’t stay for signing and meeting like she usually does. I was inspired by her and her beautiful strange friends as I am always am – Amanda treats her fans with the respect of fellow artists which is something I love and try to emulate in my own small way. She is deeply and undeniably human, constantly pulling back the glamour of fame to show the pores of her life. Maybe because I’ve just finished her book it didn’t feel like meeting someone famous, more like touching base with a very successful friend I don’t see very often. That’s part of her magic though, her ability and willingness to be authentic and personal. She’s a huge inspiration for my own art and writing. She’s worked incredibly hard and taken a lot of risks to build her career. I also felt a little sad that my life has moved me away from such wildness and strangeness in my own art. She seemed so free and unconstrained, while my fears and my inclination to adapt mean I’m always trapping myself in small boxes then breaking out again. There was such beauty in the evening and an odd kind of grief. Family. Children. Distance. Art. Love. Regret. Walking back to our car we happened upon Amanda pulling away in hers with a couple of friends. 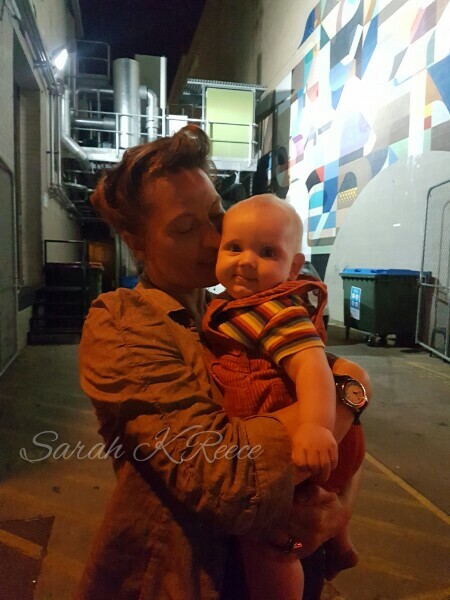 We waved goodbye and she realised we were the fans in the concert with the baby. She hopped out and gave Poppy a cuddle. There’s a kind of ache I’ve known my whole adult life, a hunger for the weight of a child in your arms. It’s precious beyond measure to have Poppy here at last – Facebook is reminding me that this time 2 years ago we were head over heels in love with unborn Tamlorn. Over the next few weeks the status updates in memory will change to grief and anguish. When we’re apart from our babies we miss them in a physical way, miss the smell of their skin, the silk of their hair, their weight against our chest. It’s beautiful to be reunited with them and precious to be allowed to hold someone else’s for a little while. We all had a tired hug and went on our ways into the evening. It was a beautiful night. ← A week of firsts!